Remember the character “Japonica” on “That’ll Be The Day” which ran I think on ABC? Sitcom. It was back in, what was it, 2006? 2007? Tuesday nights 7:30. Then it moved to Monday nights eight o’clock. Then it got cancelled. I think so. I don’t have the exact details, but you can look it up. I guess half a season is better than no season at all. Then he’d hang up. “This is the plant most gardeners have in mind when they speak of camellias,” somebody in the Sunset Western Garden Book, Seventh Edition, says. I would say that is wrong. This is the flower that lasts but a moment then is gone for another year. The shrub sticks around, but not the flowers. 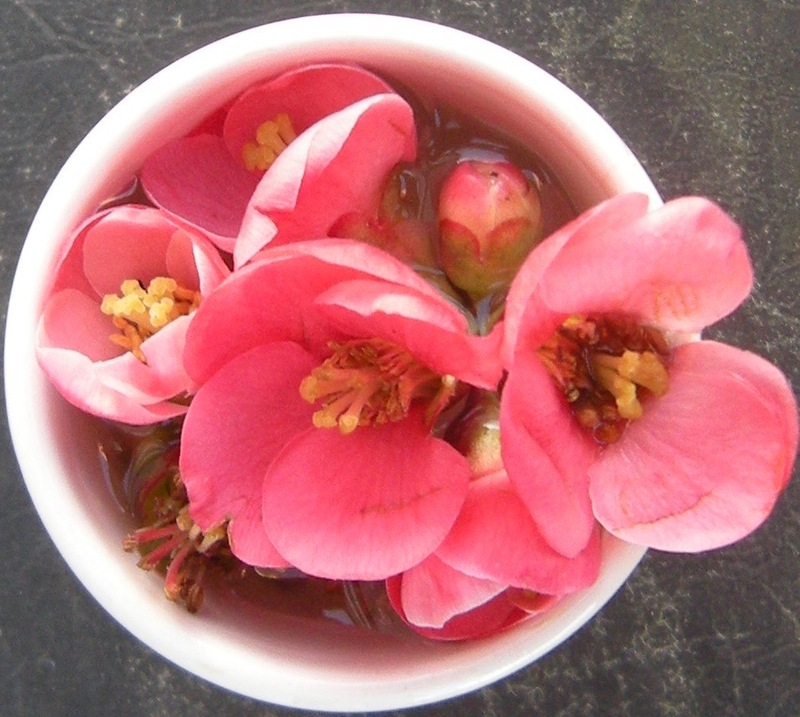 More than 3000 varieties of Camellia. This has been one of them. Japonica flowers and buds. Perhaps they are in the crucible of time. It’s the colour. Depending on the strain the flowers can be pink, red, white or orange. Some strains, like this one, bloom early. Others not so early. Now we know. Japonica flowers courtesy M M H Nicol and C S Nicol. Have yourself a happy St. Patrick’s Day too. This entry was posted in Absurdities, Certainties, Serenities and tagged ABC Television Network, Japonica, Sunset Western Garden Book. Bookmark the permalink. Thanks Jim. Looks good. Hope you’re well. 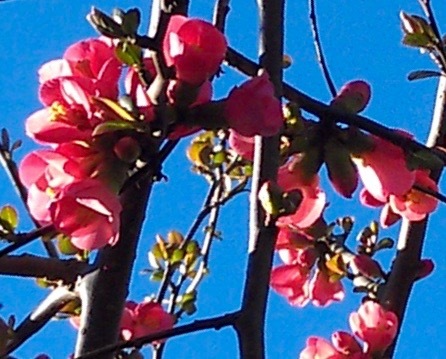 I see your camillias and raise you flowering quince – japonica in the vernacular. Now that is the truth. Thank you csnicol. I’ll see your flowering quince and call.